I've never worked in such a large facility, but I am always sorta kinda really terrified of the myriad venting systems that different plant facilities can have, including the tiny little one that I work at. Just because a pressure gauge is low does not necessarily mean the system is empty. Here are my previous posts on this particular story. UPDATE: Added the link to the PDF above, here's a Houston Chronicle story on the report from Lise Olsen, the reporter who wrote the Texas Monthly story linked above. I was part of a Reddit AMA this morning on graduate school and stress, if you're interested. The Chemistry and Biochemistry Department of Suffolk University invites applications for a tenure track position for fall, 2016, pending final budgetary approval. Responsibilities include undergraduate teaching of two-semester Physical Chemistry sequence and other courses as needed by the department. The successful candidate will be an active participant in the department's senior capstone research course and other avenues of undergraduate research. She/he will be expected to strive for excellence in teaching and scholarship, to demonstrate a commitment to undergraduate education, and to possess effective communication and interpersonal skills to work with a diverse array of colleagues and students. Preference will be given to candidates that can also contribute to one of our interdisciplinary programs, but all qualified applicants are encouraged to apply. Requirements include completion of a Ph.D., and at least one year’s postdoctoral research or the equivalent teaching experience. Please send letter, CV, statement of teaching philosophy and research interests, transcripts of all undergraduate and graduate work, and three letters of reference electronically to chemistrydept@suffolk.edu. Suffolk University is a private, comprehensive, urban university located in downtown Boston, and is an equal opportunity employer committed to a diverse community. Candidates from underrepresented groups are encouraged to apply. Application deadline is December 1, 2015. $26.25/hr for a PhD contractor at Merck? Via the Chemistry Reddit (and @nano_Kyle on Twitter), an ad for a Ph.D. contractor at what is likely to be Merck, with a 7 month contract. This $26.25/hr has got to be a mistake, right? Right? So, the question that I have for you folks is this: do you know of contractor wages for pharmaceutical companies? Is this a low offer? or is this par for the course? Looking forward to reading Lisa Jarvis' cover story on the microbiome. Also by Lisa, a smart editorial on our old buddy Martin Shkreli. I predicted that I would be talking/debating Shkreli for the next two years the other day; within two hours of that tweet, I got my first Shkreli question. Interesting article by Rick Mullin on "one-stop" contract pharma companies. Did not know that Patheon bought IRIX. Weekend discussion: Is there a 'hidden job market'? Bluntly put, I think this is mostly non-falsifiable baloney. Think about your workplace - how many job openings are there advertised? Do you think there are 100% more job openings (the mathematical threshold needed for 'most') that are not advertised? I do agree that, for many mid-level positions, organizational insiders likely know where "we could use somebody here", and what that person might look like. But these are likely for positions where 1) people have requisite job skills already established at the entry level, 2) these positions are 'coordinator'-type roles where good candidates have two sets of skills and can talk to each party, i.e. a sales position that coordinates between the technical folks and the customers. These are not positions that are open to inexperienced folks. Also, I do not imagine these positions represent the bulk of available job openings. Let me be clear: I think "networking" is important, especially when people have an open mind to what each party needs. That said, I think that the concept of a "hidden job market" is fundamentally unproven, likely unscientific and may be an unnecessary source of distraction to job seekers. Readers, I have my prejudices and you have yours - how I am wrong? UPDATE: OK, one more question: how would you go about proving or disproving the existence of a 'hidden job market.'? UPDATE 2 (10:36 AM, 20150928): Perhaps the issue is that there are three job markets?, the "open job market", the "obscure job market", and the "hidden job market." Reports are unclear about the "hidden Yeti market", though. A change in PPE policy may be needed? 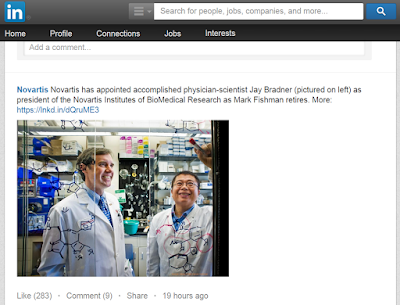 UPDATE: I should say this: best wishes for success to Dr. Bradner and NIBR. The judges (Renée Webster (a chromatographer) and PFG (a NMR spectroscopist)) have decided on the winner of the 1st annual "Hiss and Ping" contest for the funniest, most accurate description of an analytical technique. Of all the nominees, 5 had the most votes from commenters; they were Molecular Geek, St. Andrews Lynx, Poison Ivy League, Peter Edwards and Jon Lam. FT spectroscopy is like listening to a grand piano crashing to the ground from a 10 story drop in order to determine which notes were out of tune. I liked Molecular Geek's because it is short, funny, and conjures the somewhat tragic image of a piano crashing to the ground , reminiscent of a line from Who Framed Roger Rabbit. Still, waste of a musical instrument aside, it is applicable to several types of spectroscopy. In NMR, multiple frequencies ("notes") are detected simultaneously as oscillating voltages in the receiver coil of the probe. We detect ("hear") all the interfering "notes" at once, so Fourier transform is used to resolve the digitized oscillations from the time domain into the individual frequencies of the spectrum. Nice job, Geek. MolGeek's was the only one I laughed out loud at, I also found the analogy both apt and original. Molecular Geek, feel free to e-mail me your address to claim your fine prize of "A 1 pound bag of hard candies, a certificate fit for framing, 50 of the finest Chemjobber business cards, a handwritten thank you note (by me) and a $10 Starbucks gift card." Congratulations, and thanks to everyone for playing. I worked on new zeolite catalysts for diesel deNOx for several years. The revelation that Volkswagen designed the catalytic converters on their TDI diesel automobiles to cheat on smog tests was absolutely shocking and depressing to me. A short primer on automotive emissions control: In the United States, gas-powered cars have what is known as a three-way catalytic converter and use a combination of Rh, Pt, and/or Pd loaded onto a porous ceramic monolith through which the exhaust passes. Other additives, such as cerium oxide, may also be present to maximize catalytic performance. Three-way refers to the three things the converter does – oxidize CO to CO2, reduce NOx to nitrogen, and oxidize unburnt fuel and soot to CO2. Oxygen sensors and fuel injectors cycle the system back and forth between “lean” (excess O2) and “rich” (excess fuel) to make sure that NOx gets reduced and CO, soot and unburnt fuel get oxidized. In addition to the catalyst chemistry and fuel injector systems, there is a great deal of engineering technology present to maximize the performance under sub par conditions such as cold starts, etc. However, the three-way catalytic converter technology is not suitable for application on so-called ‘‘lean-burn’’ engines that operate at high air/fuel ratios, including diesel-powered cars. The high air-fuel ratio makes it harder to reduce the NOx emissions. Prompted in part by the shift to cleaner diesel feeds, which are less likely to poison catalysts, and more stringent environmental standards, there’s been lot of research done in the last 15 years on developing better catalysts for diesel deNOx. So, what are the options for diesel/lean DeNOx? It would be advantageous to develop a diesel analog of the three-way converter, in which fuel injection strategies and a bit of extra fuel can be used to reduce NOx. This is called hydrocarbon-selective catalytic reduction (HC-SCR). We’re not really there yet. Several workaround technologies are in use. NOx storage-reduction (NSR, also called Lean NOxTraps/LNT) uses alkali earth metals such as Ba to bind NOx as nitrates, which then get reduced when the fuel injection switches into a richer mode. Pt/Ba/Al2O3 is a common formulation. Periodically, the catalyst gets poisoned by sulfur and must be regenerated, just like the catalyst bed in a drybox. Ammonia-SCR: In ammonia selective catalytic reduction (NH3-SCR), urea is sprayed into the exhaust stream at high temperature. It decomposes to ammonia and helps reduce NOx to N2. A separate tank in needed to store the urea and, of course, it will need to be refilled on a regular basis. Both NSR and NH3-SCR also require the use of additional catalysts to actually do the DeNOx. Currently, the state of the art for NH3-SCR is copper on zeolites,* but Pt has also been widely used, particularly in the NSR systems. In addition to the catalytic converter, diesel engines contain a diesel particulate filter (DPF) to collect soot. The soot can be burned off at high temperature. What Volkswagen did: Volkswagen is sort of vague on exactly what types of deNOx technologies they use, but from what I’ve read, it sounds like the smaller cars had NSR and the larger ones had a combination of NSR and NH3-SCR using Cu-zeolites (Cu-CHA, if you’re a zeolite geek). It is unclear whether the Cu-zeolites were used in all cars, or just the ones with SCR. When the cars are being driven, the steering column vibrates and the deNOx parts of the catalytic converter were not turned on. Urea was not sprayed into the exhaust pathway, and the feedback loop necessary for proper NSR was probably not turned on either. When the car was being smog tested, the steering column was stationary and the catalytic converter was turned on. I suspect the DPF technology was still being run properly, because soot is a much easier problem for a layperson to notice. I’m still puzzled why they’d take the risk and cheat the system this way. Fines of $37,500 per car are nothing to scoff at. I’m also sort of dumbfounded that TDI owners didn’t notice that they never needed to fill their SCR tank, but perhaps VW just told them that it wouldn’t need to be filled very often. Did the catalytic converter technology not hold up to everyday driving, or did it just decrease the performance and mileage and they thought they’d sell more cars and happier owners if they bypassed it without telling people? At first, I cynically assumed the latter explanation, especially since only a few states do routine smog testing. But after thinking about it some more, I’m starting to wonder if the technology itself was not quite ready for prime time. Some people have speculated that the temperatures required might be higher and cause more engine wear and tear. I think it may depend on what catalyst is being used. The Cu-zeolite catalysts work best above 300°C, but many NSR Pt catalysts perform quite well at 200-300°C. But it may be that the Cu-zeolite technology just isn’t ready for extended use in automotive applications. Back when I worked on HC-SCR, the performance of a fresh catalyst was very good, but it would get deactivated over time. The commercialized system and the use of NH3-SCR were supposed to solve a lot of the problems that we observed, but perhaps that isn’t the case. If you only turn on the catalytic converter once in a while, this won’t be a problem. I’ve been working in another area of catalysis since 2010, so I haven’t been keeping up to date on the literature, so it could be that VW is just getting greedy and the catalytic converters work just fine. Anyway, at the moment there are a lot of questions and not a lot of answers. Hopefully more details will come to light soon. I had no idea that urea was used in diesel vehicles to cut down on NOx - that’s fascinating. How many people had to be in on this? (i.e. were involved in making the software to turn off the SCR systems?) I guess that it could be a very small group of people? Still, how in the hell did no one at Volkswagen notice this? How did anyone not notice this in the general car-buying public, too? Finally, I have a question related to the chemical manufacturing industry: both Volkswagen cars and chemistry produces pollutants. The software program that Volkswagen installed (the “defeat device”) is basically turning off the pollution prevention device in order to save money/get better performance. Surely this happens in industrial chemistry - how should chemists react when we see these sorts of schemes pop up? Anyone have any tales of successful (or unsuccessful) whistleblowing? *But I do know about getting drunk. I don't personally have a litmus test for employers, but that quote about "you prioritize your compass over others" tells me all I need to know about Martin Shkreli. Dude, a little self-doubt? Readers, what's your favorite question to ask your interviewer? Camarillo, CA: YTC America is looking for a Ph.D. chemist to work on ionic liquids synthesis. Chicago, IL: AbbVie is continuing its hiring campaign, with a posting for an experienced process chemist (all education levels) and a Ph.D. principal research scientist position. *If you do NOT have prior pharmaceutical experience or are NOT willing to work on nights and the weekend shift, please do NOT apply for this position. South Bend, IN: Two Ph.D. carbohydrate research chemist positions at Omicron Biochemicals, Inc; interesting 1-year contracts (it's part of a NIH grant, apparently.) 65-75k offered. Where? : Wiss, Janney, Elstner Associates is an engineering firm of some sort; they are looking for an entry-level materials chemist; looks to be analytical in nature. Metals, again: Not often we get a metals industry position, but Alcoa is looking for something like a M.S. analytical chemist. I thought this The Atlantic Monthly article on firefighters, fire retardants and cancer was interesting, but wasn't very convincing. It's worth reading the comments - believe it or not, there is some level of subject matter expertise. Isn't the real cancer hazard from house fires polyaromatic hydrocarbons? I am very willing to believe "firefighters have a much higher exposure to carcinogens", but less willing to attribute them to fire retardants combustion products. Slate has a long article on methylene chloride (fixed!) and people who die from using it while stripping bathtubs. Gotta say, I would definitely want to avoid that. Bathtubs are 1) large items that'd require a lot of DCM to strip, 2) in a small space that requires lots of ventilation. Isn't that the root of the problem? In that case, perhaps any potential asphyxiant is a bad idea. Good article by Hepeng Jia of Chemistry World on the Tianjin incident. Ammonium nitrate seems to me to be the "horses-not-zebras" answer here. I liked this Carmen Drahl piece on new findings on the Nazi nuclear reactor. Interesting piece by Mark Lorch on the Chinese terracotta army and their chrome-plated swords. I had no idea that Bruker had a blog, but it is gorgeous. Good post on honey. I hope you'll join Jyllian Kemsley and Mary Beth Mulcahy at this ACS webinar on the Sangji case. Prof. Shawn Burdette has some questions for you, regarding what he believes to be some erroneous papers. Readers, anything that I missed? "And it will mitigate – not eliminate – but mitigate the effects of alcohol!" Koch told me. I think this is wildly wrong. Almost all enzymes are temperature- and pH-dependent. That is to say, they work best (transforming chemical starting materials to product, or vice versa) when they are in a certain pH range and temperature. I find it unlikely that yeast alcohol dehydrogenase works well in the highly acidic environment of the stomach. Also, why would the enzymes in the stomach (pepsin, etc.) fail to digest the yeast? Note for people who find this via Google: this advice is almost certainly wrong. Dr. Owades was probably incorrect; if you take yeast with your beer, it will probably have no effect on your blood alcohol level. Our investigator observed specific violations during the inspection, including, but not limited to, the following. a) Our investigator observed holes in the walls and roof which allowed pigeons access near production equipment in multiple manufacturing areas. b) Gaps and holes in outside walls for piping and air ducts which allow contaminants to enter the building. a) Our investigator observed rust, dirt, lubrication leaks, and exposed insulation material on and around open drug manufacturing equipment. We note that you continued to manufacture product intended for the U.S. market even after you recognized that your facility and equipment were in disrepair and not compliant with CGMP requirements. Your June 6, 2014, change control (CC14/001) stated, “Warehouse and Facility to be upgraded to achieve GMP standards.” However, in July 2014, you manufactured [redacted] API batches [redacted]. In your response, you state, “we have decided to divert the referred batches” to the domestic (India) market. Every API plant needs a pigeon feather or two. I love the factlet that the non-cGMP batches weren't a concern anymore since they've been sold to folks in India. Never mind! Aiken, SC: The University of South Carolina Aiken is searching for an assistant professor of organic chemistry. 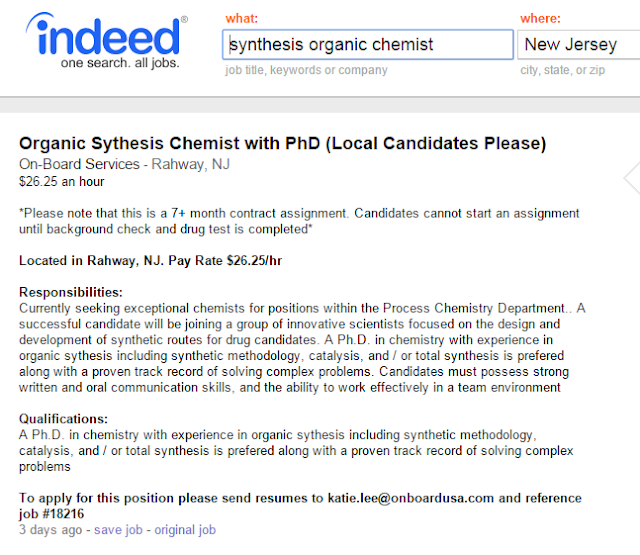 Philadelphia, PA: The University of the Sciences desires an assistant professor of chemistry; hard to tell if it's an organic or inorganic position. Madison, WI: The University of Wisconsin-Madison is looking for professorial openings in the field of biocatalysis/biodesign for the production of chemicals. Los Angeles, CA: Chapman University is searching for an assistant professor of biochemistry. Laramie, WY: The University of Wyoming wishes to hire an assistant professor of analytical chemistry. Quote of the day from Ike: "Plans are worthless, but planning is everything." A while back, I listened to biochemist-turned-consultant Melanie Nelson's "Getting More Done" seminar; she introduced the quote to me from President Dwight D. Eisenhower that "Plans are worthless, but planning is everything." As an inveterate planner, that sentence has rolled around in my head until this morning, where I thought, "I wonder if that quote is accurate?" ...Some years ago, there was a group in the staff college of which some of you may have heard, Leavenworth Staff College. This was before our entry into World War One, and in that course it was necessary to use a number of maps and the maps available to the course were of the Alsace-Lorraine area and the Champagne in France. But a group of "young Turks" came along who wanted to reform Leavenworth. They pointed out it was perfectly silly for the American Army to be using such maps which could after all be duplicated in other areas without too much cost--they would get some area maps where the American Army just might fight a battle. So they got, among other things, maps of the area of Leavenworth and of Gettysburg, Pennsylvania, and in succeeding years all the problems have been worked out on those maps. The point is, only about two years after that happened, we were fighting in Alsace-Lorraine and in the Champagne. So, the first thing you do is to take all the plans off the top shelf and throw them out the window and start once more. But if you haven't been planning you can't start to work, intelligently at least. *There is a wonderfully clear aspect to Ike's speech, something that seems to be lacking from modern speeches. Hard to say why there's a difference. The Olson Research Group is a new lab at UC Davis specializing in chemical neuroscience. We are seeking a highly motivated postdoctoral scholar with expertise in the area of organic synthesis (methodology development and/or total synthesis) to work on an unorthodox, but potentially transformative new synthetic approach for achieving multi-step complex molecule synthesis in a single reaction vessel. Application of this methodology to the rapid synthesis of psychoactive alkaloids and their analogs is a major goal of this project. Additionally, our highly interdisciplinary environment provides ample opportunity for scientific growth in other aspects of our group’s research ranging from chemical biology and molecular neurobiology to neuropharmacology and behavioral neuroscience. Participation in these project areas is a possibility if so desired. Funding for the initial phase of the project is guaranteed, but the candidate will be expected to apply for external funding to extend the length of the tenure. Ideally, the successful candidate would begin work as early as November or December; however, the start date is flexible. Interested parties should send a single file pdf containing a cover letter, curriculum vitae, and a short description of relevant research experience. Additionally, 3 letters of recommendation should be sent directly from the candidate’s mentors. All those interested in the nexus between synthetic chemistry and neuroscience are encouraged to apply. Original PDF posting here. Best wishes to those interested. For those of you who are masochists loved physical chemistry, Chris Cramer's "Statistical Molecular Thermodynamics" class is now on-demand at Coursera. Enjoy? ! In general I think that the ACS does a good job with the basics of helping members with employment. There are resources for finding jobs, developing leadership skills and writing resumes and interviewing. All of these are important. One thing that I believe could be strengthened is the career networking support we offer members. Whether the member is an early career chemist or one who has been recently displaced from the job market, knowing how to network effectively is as important is key. In addition to providing the opportunities for members to network at ACS meetings, I would like to add networking training sessions to the agenda at the regional and national meetings. I am very impressed with the networking methods I have seen in some of the university alumni programs and I think that we can borrow some best practices from them. They have built a strong sense of community and provide unique means for connecting and reconnecting Alumni. One of the best things alumni relations do is connect alumni with people looking for work. They help find advocates for the members within organizations posting positions. I firmly believe that in today's market, in order to differentiate oneself, a personal touch and an advocate within the hiring organization goes a long way. I personally am a huge advocate for STEM education for all students, not only for those who plan to go into STEM fields professionally. I think that students who understand science generally will mature into adults who can make better-informed decisions – decisions ranging from how to best steward our environment to understanding political candidates' support for policies that will spur the growth of an economy based on science, technology, and innovation. Citizens who are educated and informed about science generally and chemistry in particular, can have a huge impact on the future of our nation. Regardless of their personal career paths, their understanding of the scientific endeavor, their ability to differentiate junk science from fact-based policy and make informed choices as voters and consumers can only help our society. With respect to wages for chemists and the question of the future of chemistry as a career path, I am hugely optimistic. So many high technology fields and industries depend on chemistry--including material science, pharmaceuticals, and energy—that it is hard not to be bullish about the future of the field. While wage stagnation is a problem for chemists, I think the phenomenon is one that reflects a larger, economy-wide trend. Comparatively, students graduating in chemistry and other STEM fields still earn more than those graduating with non-technical degrees. While I am not complacent about the employment situation for chemists, I do think it is important to consider it in context. I think all recent ACS Presidents have tried in some way or another to address the employment situation. It is clearly a difficult challenge for any President. I was recently talking with a Congressman about the impacts of the governments always having budgetary Continuing Resolution and the uncertainly in creates for many federally funded scientists. Our Policy makers need to know and understand how their decisions with respect to things like energy, environmental, and trade policy impact national job outlooks, and how policies that entice high tech companies to relocate their research operations outside our borders are ultimately bad for the economy. At best, I think that leading the dialogue and highlighting the importance of chemistry to our economic prosperity will have the biggest and most lasting impact. And it is something that an incoming president has the time to do in his/her short three year tenure. One thing that I would do is to host a roundtable discussion series with key lawmakers and other key professional societies on this topic. Having had the opportunity to spend a fair amount of time interfacing with Congress, I think the biggest payoff is to increase and sustain strong federal funding levels for science. The signal that strong federal funding would send would be felt economy-wide and encourage innovation and entrepreneurship. I think the other activities you mentioned—entrepreneurship, SBIR funding, etc. all depend on their being strong federal support for science. I also think that this is an issue that could garner strong bipartisan support in Congress; members of both parties recognize the importance of science to our economy and our wellbeing, so I as ACS President, I would want to use my tenure to broker solutions that could bridge the party divide. Thanks to Dr. Campbell for her responses. This week's cover story on Roundup, by Britt Erickson. Beth Halford writes about the latest in photoredox chemistry from the Nicewicz group - fascinating. Also by Marc Reisch, an article on the first DuPont PFOA lawsuit. At some point in the near future, I'd like to write about this Huffington Post article about that plant in West Virginia. A little background on Singapore's chemical industry, from XiaoZhi Lim. I don't know much about Singaporean geography, but I am under the impression that the common conception of Singapore as "one island" is probably not literally accurate? There's a new post on the ACS Network from Bill Carroll, Jr. Before you read what I think of it, you should go over there and read it. I write this as a 10+ year member of the ACS* - after reading that, I was never so close to resigning my membership. ...Our predecessors—even before the dismal economic days of the ‘70s--had many of the same concerns with respect to employment and the balance between supply and demand as some of our colleagues express today. In many ways, today’s situation is more difficult and complicated. The enterprise is profoundly global, and it was not in 1975. The business that employs so many chemists—big pharma—struggles to find its place in the context of 2015. And even more startling: we’re graduating about twice as many bachelors and 50% more PhDs today than we were then. Yet the overall unemployment rate is relatively low, even if it’s higher for new graduates. So here’s a hypothesis: maybe then and now are not so different. Maybe for some reason we virtually always have too many chemists and too few jobs…or if not always, maybe most of the time. So if that hypothesis is plausible, what do we do about the situation, individually and collectively? If chemists are in oversupply, our first thought is to encourage industry to hire more of us. But realistically, that only works for them if they can make more money by doing so. That’s harsh, but it’s the nature of the enterprise. I believe that each of us is a single-proprietor business—even if we work at a corporation or a university. If we take that point of view and constantly work to improve our capabilities we have a greater chance of avoiding the tragedy of an atrophied career and a layoff because the enterprise changed and we didn’t realize it was happening. Employers have a responsibility to us as employees, but our responsibility to ourselves is an order of magnitude greater. That’s what it means to me to be a professional: to make a career a continuous series of learning experiences; adding to our toolkits; making ourselves better and more valuable in a competitive market. ACS’ responsibility in exchange for your dues is to do what it can to enable you. I think Dr. Hill might agree. First, let's establish who William Carroll, Jr. is. He is a current director-at-large of the American Chemical Society. That means that he sits on the board that ACS members elect (one from each district); this board hires the CEO/executive director (that CEO used to be Madeleine Jacobs, it's now Tom Connolly.) Dr. Carroll was president of the ACS in 2005 (?) (which means that he was on the board in 2004 through 2006, I think), and then he's been on the board since 2007 and has a seat on the board until 2017. He was chairman of the Board from 2012-2014. I mention all of this to say that Dr. Carroll is just about as responsible as anyone for ACS' response to the Great Recession. Let's remind ourselves of the butcher's bill of those years: thousands (if not tens of thousands) of layoffs of chemical professionals, the highest unemployment rate for chemists in the history of the ACS' Salary Survey, and median wages that continue to fall against inflation over a decade. Instead of analyzing the lessons that ACS staff and volunteers have learned over those Great Recession years, how the response of the ACS could have been improved and what lessons could be learned for the future (and his role in that response), instead, he has the temerity to remind me that I'm a "sole-proprietor business." Are you freakin' kidding me? 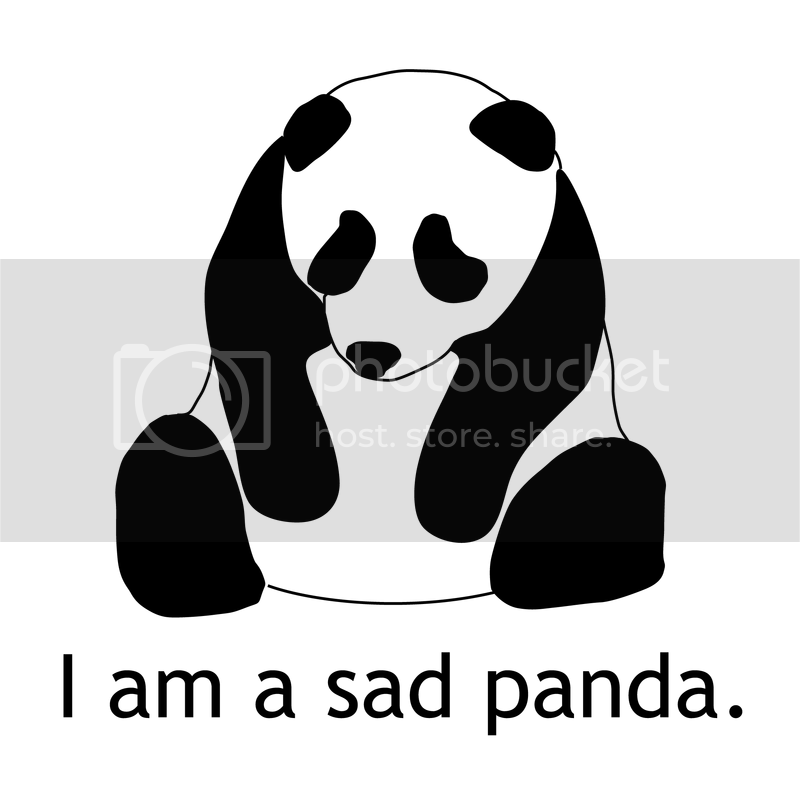 After over a decade of zero loyalty from multi-national/American corporations, the last thing a working chemist member of the American Chemical Society needs is that we're on our own. Yeah, buddy, I $*&*&@ know that already. Instead of reminding me once again that I need to prove myself at my job daily (something I actually really do believe), I would ask Dr. Carroll to have the courage to analyze his successes and failures as a member of the board of directors and how ACS is doing at "enabling" us. *Yep, not very long, comparatively. I have seen far too many pictures like this one at Reddit, where a graduate student added some waste HNO3 into a bottle* with some ethanol. Result: explosion and a broken window. Here is a direct link to the pics. UPDATE: *That he did not know contained ethanol. Know exactly what employers are looking for and what skills are needed to “hit the ground running” when that job offer does arrive. While on the campaign trail, I have heard examples from local sections of successes in these areas, and I suggest that we find out what works and deploy this at the national level. Having worked with a number of groups in the ACS that formulate policy, I can tell you that there is no explicit ACS policy to get more students to study in STEM fields. It definitely IS an ACS policy, expressed through the Strategic Plan, to nurture an appreciation for the wonder of scientific discovery, to foster the most effective chemical education system in the world, and to encourage the understanding and appreciation by the general public, including lawmakers, of the role of chemistry in addressing many world challenges in human health and welfare. Wages for chemists have risen and fallen throughout the past decades, and it is true that wages have been stagnant since 2008. There is a nuance to this in that total employee compensation has actually risen slightly over this time period, and you can blame that on the economic factors that are affecting virtually every job in the U.S. What bothers me more than flat wages, which would imply that we’re actually in a steady state situation with supply and demand*, is that it’s taking increasingly long to land a job, multiple post-docs are becoming the norm, and there is a trend towards contract (fixed term) labor and an increasing number of involuntary part-time (or adjunct) positions. *Overly simplified, I admit, given inflation and other factors. In short, I argue that there is no current “STEM shortage” when it comes to chemists. I’ll also point out that this issue is not unique to chemists, and I know that many other job seekers in the physical and life sciences are experiencing exactly the same pressures. To be honest, I can’t point to any one action that has had a noticeable long-term effect. I will say that an excellent report with very good ideas was put together by a task force chaired by George Whitesides, at the request of 2010 ACS President Joe Francisco (google “Innovation Chemistry and Jobs”). However, for the most part, this is yet another report that gathers dust on the shelf and therein lies the issue: Each President has their emphasis and goals, but there is no sustained long-term mechanism to carry forth the ideas and progress from one President to the next. This has to change, as changing the employment situation for chemists is not a one-year effort. If it were, we would likely have fixed this by now. My approach is not yet another task force, but to create an ongoing, forceful, and effective means to deal with the situation. We have mechanisms for the sustainability of ACS publications and governance and local sections and divisions, but why don’t we have these for the elephant in the room for too many of our members: employment and careers? On the second part of the question, I have to be realistic and state that I don’t believe that the ACS can do much to increase the number of jobs. As I’ve pointed out in my answer to question #1, I believe the answer lies in connecting ACS members to the jobs that are available and ensuring that they can favorably compete for those jobs. I don't believe more funding is the solution (although some individuals would no doubt benefit), and I don’t believe that post-docs need any more training. Of the four options, I would prioritize the second, “training in entrepreneurship for students” but I’d like to broaden this by encouraging students to seek a broader knowledge than just highly specialized technical skills, e.g., in areas such as laboratory record keeping, data analysis and statistics, business and finance, contracts, and so forth. I don’t suggest students become experts in all of these, but many employers have told me that they would place high value on job applicants with such skills. For that reason, the broader version of #2 would be my priority. I’ll end by saying that I’m not running for ACS President for the pay (there is none) or even the honor and recognition. It’s just in my nature to try to help people, and I’ve volunteered for thirty years teaching career workshops, advocating for science education, mentoring students, and leading at the local section through international levels of the ACS. But I’m not here to tout my background as this isn’t about me; it’s about our members and our profession. Thanks to Dr. Balazs for his responses. Dr. Allison Campbell has received the questions and has indicated her interest in responding to the survey; her responses will be published within 24 hours of receipt. Bill Ackman is a hedge fund manager, which does not endear himself to us. That said, I have held a great deal of admiration for his willingness to attempt to drive Herbalife International out of business (and make himself a great deal of money in the process) by publicly shorting the stock, i.e. betting the stock will fall to zero, and then doing everything he can to make the share price fall. This has included long presentations analyzing their multi-level marketing distribution and lobbying the government to take a hard look at them. Dirty pool? Probably. Personally, I strongly suspect that Herbalife makes its money by duping folks into buying its expensive snake oil "nutrition products", so I have zero sympathy for them. Who should I root for when a cobra decides to take on an anaconda? Here's a short version of the story, but for those of you who want the long version, here's a recently released Fortune article, titled "The Siege of Herbalife." Will there be a rate hike today? UPDATE: Nope. The announcement of whether or not the Federal Open Market Committee will raise rates (and by how much) will come today at 2 pm Eastern, according to MarketWatch. I suspect that chairwoman Janet Yellen will not raise rates today; if Aunt Jan does tap on the brakes, it will be by a quarter point, and it will be the only rate increase for the rest of the year. Readers, any guesses as to whether or not the Fed will raise rates in a few hours? The national unemployment rate for August 2015 was 5.1%, and the broader U6 measurement of unemployment was at 10.3%. The unemployment rate for college graduates aged 25 and above was 2.5%; the unemployment rate for people without a high school diploma was 7.7%. The estimated number of workers in the chemical manufacturing subsector was 812,300 workers. The distribution of unemployed persons by duration of unemployment was 26.5% for those unemployed less than 5 weeks, 30% between 5 and 14 weeks, 15.8% between 15 to 26 weeks and 27.7% for those unemployed more than 27 weeks. Interesting distribution there. UPDATE: From the Fed: "To support continued progress toward maximum employment and price stability, the Committee today reaffirmed its view that the current 0 to 1/4 percent target range for the federal funds rate remains appropriate." Uh, just one: The rest are all academic positions. The falloff in posting of industrial positions between August and now has been really dramatic. Atlanta, GA: CocaCola searching for a bioconversion scientist. San Diego, CA: Via LinkedIn, a senior medicinal chemist position at Dart Neurosciences. BioDuro, a Bridgewest company, is a leading life sciences research organization that provides biopharmaceutical clients with comprehensive, integrated drug discovery services spanning target identification through Phase 0. If you are keen to learn cutting-edge drug research knowledge in an international company and passionate for exploring innovative drug discovery, you might just fit in well here at BioDuro. We are constantly seek to recruit and retain employees who live our values-scientifically driven and innovative research culture, accountability, can-do positive attitude- and we will support you and give you the foundation you need to learn, explore and grow professionally. (Location: Shanghai) *This position is based in Shanghai, China. Relocation is required. Key activities: As a key member of a high performance chemistry team in BioDuro's R&D center located in Shanghai, China, you will be responsible for independently developing and optimizing synthetic routes toward synthesis of novel compounds in mg to multi-g scales. A broader look: Monster, Careerbuilder, Indeed and USAjobs.gov show (respectively) "1000+", 653, 9,874 and 19 positions for the search term "chemist." LinkedIn shows 790 results for the job title "chemist", with 79 for "analytical chemist", 31 for "research chemist", 11 for "organic chemist", 4 for "synthetic chemist" and 2 for "medicinal chemist." Radius Health, Inc. is seeking an experienced Process Development Chemist with a proven track record of sustained laboratory achievement and innovation to join our CMC group. The incumbent will be alongside other CMC, Research, and Clinical within the company’s investigational drug RAD1901 team. Currently, the investigational drug RAD1901 is in Phase 2 development for the Vasomotor indication, and in Phase 1 development for breast cancer indication. Manage Contract Manufacturing Organizations (CMO) for GMP manufacturing of APIs. Develop processes suitable for controlling the quality of bulk API as required by cGMP, ICH and FDA regulations as well as the bulk attributes conducive to successful formulation development. Develop optimized synthetic route to manufacture GMP API from early development through Phase III and commercial. Serve as an API development representative on a multidisciplinary CMC or program teams. Having a good understanding of how impurities are formed, tracked and purged throughout the subsequent processing. Demonstrates excellent verbal communication skills and interpersonal skills. Demonstrates collaborative communication and problem solving spirit. Work closely with Quality Assurance, Quality Control, Regulatory Affairs and Supply Chain Planning groups for the management of manufacturing schedules, resolution of technical issues, batch record review and batch release/disposition activities. 5-10 years of relevant industry experience in a pharmaceutical CMC/GMP environment. 3-5 years’ experience working for chemical/pharmaceutical manufacturing/process development organizations in a cGMP environment or working with cGMP contract manufacturing organizations. Experience with CMC issues encountered in API development is highly desirable. Experience in managing CRO/CMOs for the manufacture of GMP APIs. Excellent laboratory skills and knowledge of organic synthesis and purification techniques. Proficient in the use and interpretation of standard analytical instrumentation including, NMR, GC, HPLC, LCMS, IR, DSC, TGA, XRD. Track record in developing and scaling-up innovative, safe and effective processes for the manufacture of intermediates and APIs. Experience with regulatory documentation such as IND/IMPD filings. 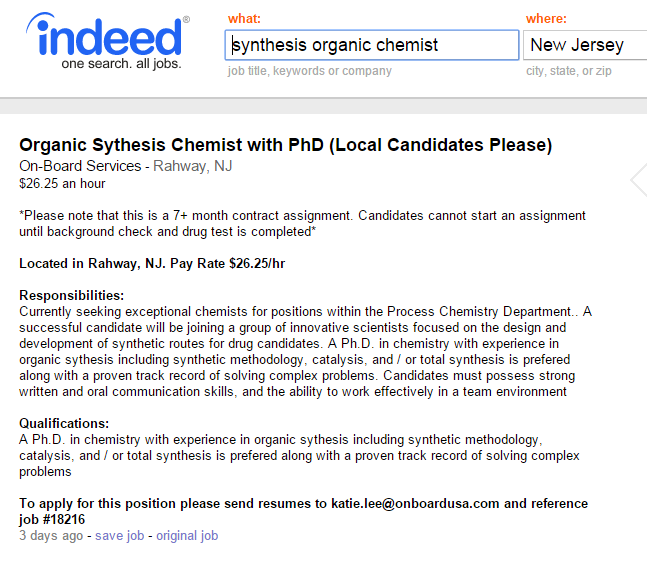 MS or PhD in Organic Chemistry or related scientific discipline. BS degree with extensive industry experience. They also need to carry out lab testing – some because the state demands it (laws forbid the use of certain pesticides), some because of consumer demand for guaranteed purity and potency. Cannabis labs already provide employment for biologists and chemists; what’s now a cottage industry will soon grow along with the industry. If you want to make guaranteed money from pot, go to law school or get your masters in industrial chemistry. Color me skeptical. I think the likeliest way to earn guaranteed money from pot is at your local college campus doing door-to-door distribution. 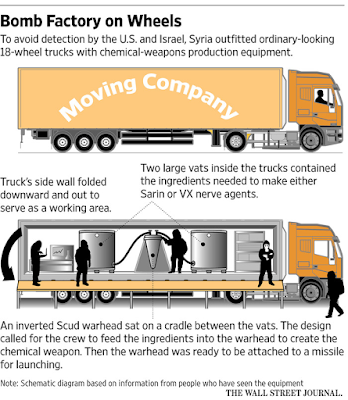 Parked outside the bunker were mobile weapons-production facilities that sat on 18-wheelers. Inspectors would later liken the vehicles to Transformers toys because they looked so ordinary on the outside. As such, they would have been difficult to target from the air. Syrian guards carried the empty aerial bombs out of the bunker and laid them in a row. The Syrians had stored them without chemicals inside. Mr. Cairns says the bombs contained two internal chambers separated by a thin membrane. When the bombs are filled with chemicals, activating them requires turning a crank attached to the back of the bomb, which rotates a rod inside, pierces the membrane and mixes the chemicals. As someone who has done some 50-gallon chemistry back in the day, it doesn't surprise me that you could set up a mobile laboratory in a typical trailer. (Heck, they managed to stick a suite of reactors on a ship to neutralize those chemical weapons!) That said, it's probably not particularly comfortable for the operators nor would it be a particularly efficient means of production, I would think. *Can't get to the article? 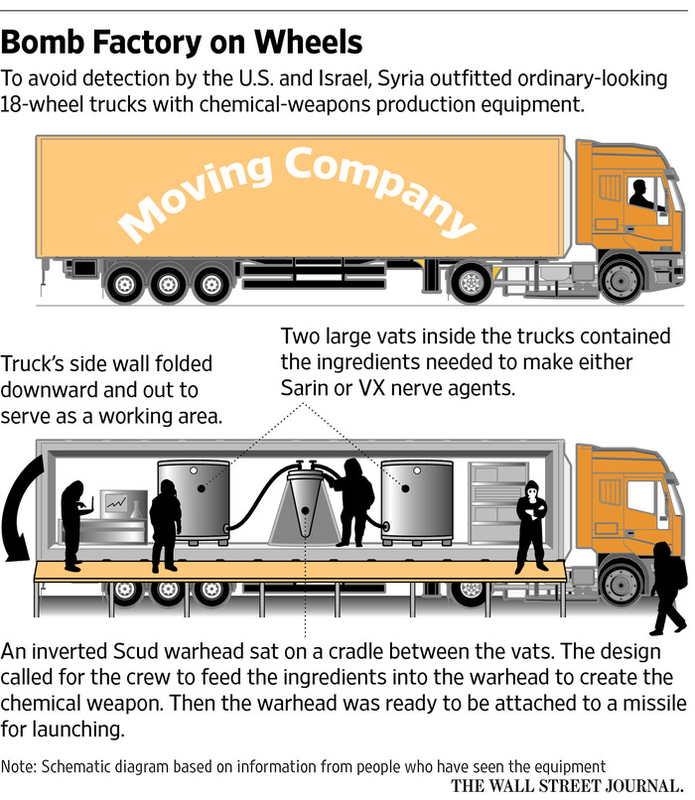 Search for this headline: "Mission to Purge Syria of Chemical Weapons Comes Up Short"
UPDATE: A couple of nice articles about Scott Cairns, the Canadian chemist working for OPCW. 1. Contact and frictional charging: When two materials, with one being an insulator, are brought into contact, a charge separation occurs at the interface. If the two objects are then separated, some of the charges remain separated, giving the two materials opposite but equal charges. 2. Double-layer charging: Charge separation occurs on microscopic scale in a liquid at any interface (solid-liquid, gas-liquid or liquid-liquid). As the liquid flows, it carries a charge and it leaves a charge of opposite sign on the other surface, for example, a pipe wall. 3. Induction charging: This phenomenon is applicable only to materials that are electrically conductive. A person with insulated shoes, for example, may approach an overhead vessel that is positive charged (previously filled with positively charged solids). Electrons in the person's body (head, shoulders and arms) migrate toward the positive charge of the vessel, thus accumulating an equal quantity of positive charges on the opposite side of the body. This leaves the lower part of the body positively charged by induction. When a metal object is touched, there is transfer of the electrons, creating a spark. 4. Charging by transport: When charged liquid droplets or solid particles settle on an isolated object, the object is charged. The transferred charge is a function of the object's capacitance and of the conductivities of the droplet, particle and interface. The myriad of places that static electricity can build up in the plant is not something that I've considered before; I tend to think of it as a phenomenon that only happens inside the reactor with certain solvents (hexane, for example) or during the transfer of various solvents from drums/totes to the reactor (or vice versa.) Lots to learn, I suppose. 1. Crowl, D.A. ; Louvar, J.F. "Chemical Process Safety: Fundamentals with Applications." 3rd Edition, Pearson Education, 2013. 2 booths from employers: Ohio State and Caltech. Sigh. This science gave birth to a broad range of industries, some of which also poisoned people. The Leblanc process, invented by eighteenth-century French surgeon Nicolas Leblanc, treated salt with sulfuric acid to produce sodium carbonate. * Along the way, it also gave off hydrogen chloride fumes and calcium sulphide. The calcium sulphide released the classic "rotten egg" smell of sulfur to add to the black clouds and cinder of industrial centers. Hydrogen chloride fumes were worse. The gas from these manufactories is of such a deleterious nature as to blight anything within its influences, and is alike baneful to health and property. The herbage in the fields in their vicinity is scorched, the gardens yield neither fruit nor vegetables; many flourishing trees have lately become rotten naked sticks. Cattle and poultry droop and pine away. It tarnishes the furniture in our houses, and when we are exposed to it, which is frequent occurrence, we are afflicted with coughs and pains in the head. What would you ask an ACS presidential candidate? Readers, what is best in chemistry? Does anyone do small talk well?